The Alzheimer Society has partnered with the Canadian MedicAlert® Foundation to improve the Safely Home® program, incorporating the best features of both Safely Home® and MedicAlert® services. People with dementia may lose the ability to recognize familiar places, to communicate or to remember their own name or address. They may leave home, become confused and get lost. MedicAlert® Safely Home® is a nationwide program designed to help identify the person who is lost and assist in a safe return home. Members receive an engraved identification (including bracelets, necklaces, watches and more), which allows police and emergency responders to quickly identify the person who has wandered and bring the family back together. Medically trained specialists are available to answer within five seconds and immediately supply police and emergency responders with the member’s physical description, emergency contacts and critical health information. Members receive an engraved identification (over 100 styles of IDs available including bracelets, necklaces, watches and more). Critical medical information and the Hotline Number are engraved on the ID bearing the MedicAlert® symbol recognized by emergency responders. When called, the 24/7 Emergency Hotline specialists immediately notify caregivers or family to let them know the situation and location of the member, reducing anxiety for everyone. One year of MedicAlert® protection costs $60. Veterans receiving health benefits through Veterans Affairs Canada may be eligible for the VAC assistance program to cover the cost of joining MedicAlert® Safely Home®. Please include the 8 digit VAC Health Number when filling out the MedicAlert® Safely Home® application form. * The MedicAlert® Safely Home® enrollment price of $60 includes the cost of MedicAlert membership for one year, a complimentary stainless steel MedicAlert® ID bracelet exclusive to people living with dementia, applicable taxes and shipping & handling. Download and print the Member Application Form. Call 1-855-581-3794 (toll-free) to sign up for MedicAlert® Safely Home®, update your existing record or for more information. *Tip: before calling, review the information required to complete a registration by reading the Member Application Form. Register on the MedicAlert® website here. Keep a current photo on hand and update it every six months. Keep your MedicAlert® Safely Home® contact and personal information up-to-date by calling 1-855-581-3794 or email safelyhome@medicalert.ca. Visit the website at medicalert.ca/Safely-Home for more information about the MedicAlert® Safely Home® program. Contact alzmb@alzheimer.mb.ca or call 204-943-6622 for a printed version of the brochure. Note: If you are a police officer or working in a long term care home and you are interested in accessing our online training tools, please note that they are not currently available as their content is being updated. 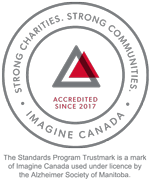 In addition to the MedicAlert® Safely Home® program, caregivers of individuals with cognitive disorders who are at constant risk of the life threatening behavior of wandering can contact Project Lifesaver Manitoba.